I wrote a blog recently about our trip to Newcastle to see if we could get Alex onto a new clinical trial. Well news is in and unfortunately or fortunately he’s not eligible to go onto this trial. The reason I say fortunately is because he did too well on the physio assessment and that’s why he’s not eligible. There are various tests that the clinicians need to do before selecting a child to go onto a clinical trial which are set by the sponsor running the trials. These are usually set in stone – they set strict guidelines and outline the type of patient they specifically need to test the new drugs. This is so that they are able to say one way or another whether the drug is/isn’t having an impact on those patients. Duchenne is a very complex condition, because it’s a degenerative disease (it keeps on getting worse) and boys decline at different rates and over a different time period (there has been studies lately to assess the natural history of boys over a period of time, but these studies are still ongoing). During any study, there are certain end points and certain exercises or activities that are carried out to see if there is any statistical difference over the period the child is on the drug. If a child starting the study is not within a certain stage of disease progression it would impact on these findings. For instance, in Alex’s case they have said he performed too well during his physio assessment to be eligible (could be he was just having a good day, but nonetheless they have to take assessments at set times), had they not have done this and just given the drug to Alex – it might have skewed some of the results. We are obviously disappointed Alex isn’t able to take part in the trial, but completely understand why he can’t. We wish everyone who is able to be on the trial all the very best of luck and hope the trial is successful overall. 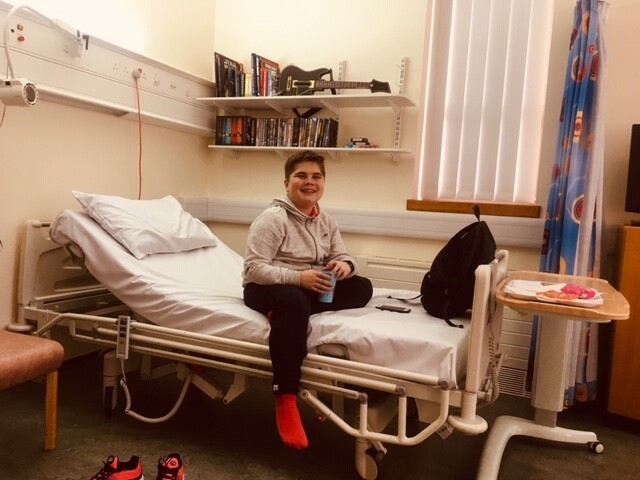 We’ll be keeping an eye open to see if a new trial comes up that Alex may be eligible for (it does become more difficult as time goes by, often trials are only for those still walking and of a certain age usually under 10, but that’s another story). Should a clinical trial be successful and findings show the drug has overall had a positive impact, then it has to be approved by the European Medicines Agency (EMA) and then by the relevant Health Technology Assessment (HTA) bodies. In the UK, these are the Health and Clinical Excellence (NICE) to assess whether it should be funded by the NHS – this can be a long drawn out process, however many charities like Duchenne UK amongst others are working hard to improve the overall approval process and ensure our boys have early access to new drugs. Alex has been very grown up about it all and he’s pleased he’s doing well, so for now it’s a case of continuing with his daily stretches and exercises, night splints, steroids and general exercise to help keep him mobile for as long as possible – and keeping our fingers and toes crossed something else will come about for him. All of that on top of ensuring he lives a normal life and just gets on with doing what he loves. He’s working hard at school and he plans to become a teacher or work in the food industry – he’s not letting Duchenne stop him! So for now, we continue our work – continuing raising much-needed funds to progress the work we’ve already funded as well as work closely with Duchenne UK who are reaching out to the professors and scientists to see what new and exciting projects we can fund in the coming months. We are all on a mission and that’s to end Duchenne, we won’t stop until our boys have new treatments to help slow down this awful disease and allow our boys the freedom to simply get on with life and not worry about their next stage of decline. Thank you to all our wonderful supporters for sticking by us and helping us achieve our goals and following our story, we are a damn sight better off with you all by our side.